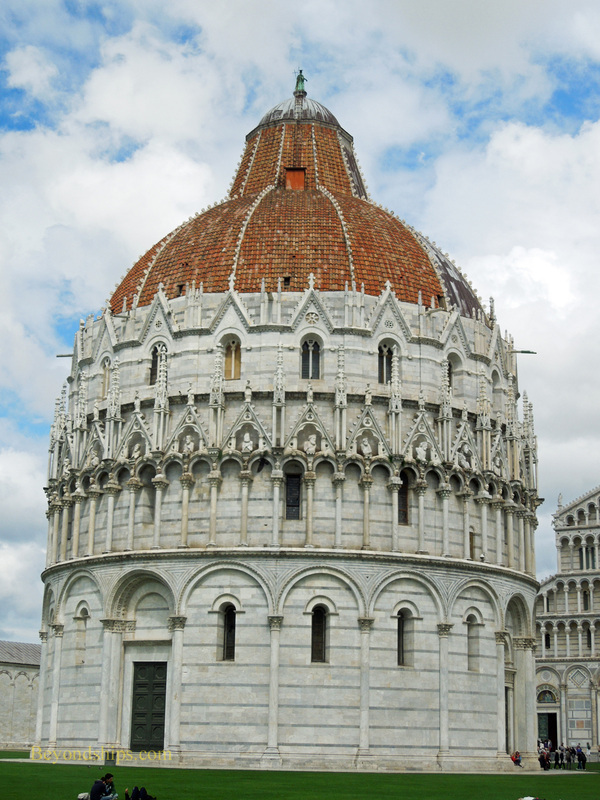 The Baptistery of St. John is the largest baptistery in Italy. It is a tall, round Romanesque building made of white and gray marble like the Cathedral. It was begun in 1053 and was intended to enhance the Cathedral by providing a monumental support building that would underscore the Cathedral's importance. Inside, the Baptistry is quite large but not elaborately decorated. It is known for its acoustical properties and it is said that a choir singing there can be heard from miles away.